Hi fans, I have a fair bit of free time over the next few days (including today) so I’m going to be adding a bunch of brand new candid photos up to the site’s newly located photo gallery, be sure to check them all out as they go up very shortly! I will be adding multiple photos, including very recent ones, be sure not to miss those. As I know it’s been a while since I have uploaded some new ones. 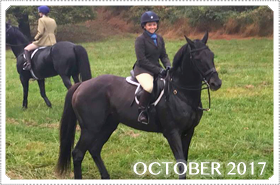 In other news, more directly, Mackenzie Rosman news; Mackenzie Rosman has been training hard on her horse and prepping for the hunt cups that she and her beloved horse Odysseus will be competing in! Mack has been very busy each week riding and training, going over all the ground work to get ready. Let’s wish them both the best of luck in their competitions! I’ll definitely have more updates soon on that news. In terms of other news going on, let’s talk about this site. Lately it had been a little while since the photo gallery had been moved over to the main server here at this site, but I have lots of news on the website. I recently edited and changed up the title at the very top in the header, and there will also be a completely new layout being worked on in the coming months. I think its time for the website to have a fresh new look and the changes don’t stop there.. I will be dedicating this afternoon to adding a load of brand new photos into the gallery. I’ve wanted to make a shift for a while, in getting a new layout for this site that be more mobile/smart phone ready, so that fans can browse the website from their own mobile phone with ease. There is also some other surprises in the works, so stay tuned here and keep an eye out!